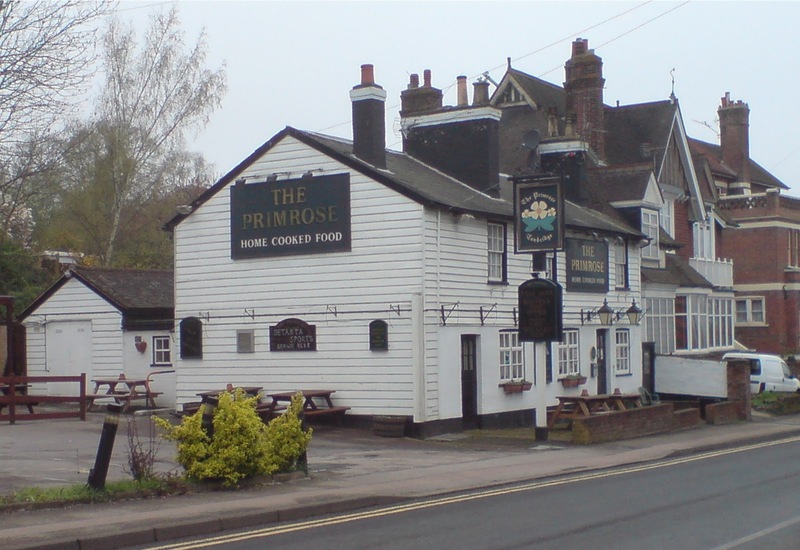 The Primrose is an attractive weather-boarded pub which is around five minutes walk from my house. 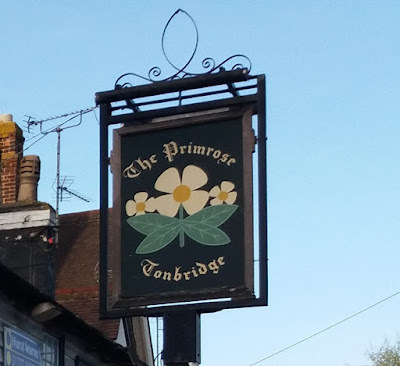 Although it is situated on a busy thoroughfare leading into the centre of Tonbridge, the Primrose has its own car-park, as well as a patio area at the rear for those who enjoy a pint outdoors during the summer months. Internally there are a number of different drinking areas, separated by partitions and the odd half-wall. Low beamed ceilings and exposed brickwork help give the pub a cosy feel, aided by homely and comfortable furnishings. In recent years, the Primrose never seemed to realise its true potential, so it wasn’t overly surprising when it closed its doors for the last time, back in August. The pub is currently boarded up, awaiting an uncertain future (see below), which is a sorry fate for what was once a thriving little pub. I first became acquainted with the the Primrose during the early 1980’s. Back then it was a typical drinking man’s pub, with two bars of almost equal size, and a central serving area which catered for both public and saloon bars. I have fond memories of drinking there, as once a week (always on a Thursday), I would join a couple of work colleagues for a lunchtime drink at the pub. The pub was their choice, and I was never quite sure why they chose it, as it wasn’t within walking distance. Instead it was a short (c. 5 minutes), drive away. My two colleagues were Peter, the Work’s Engineer, and his assistant Pat. Peter was in his late 50’s, and Pat probably in his mid to late 30’s. I was the youngster of the group, having just passed my mid 20’s, and was also a bit of an interloper, as the pair were like father and son. I was also the Company Chemist, and for whatever reason the pair took a bit of a shine to me, probably because we used to interact during the course of our work; so knowing that I liked a pint, they invited me to join them for their regular Thursday lunchtime drink. Pat invariably acted as chauffeur; driving us there and back in his bright orange Ford Capri, but with the transit time taken into account, our time in the pub was limited to around 50 minutes. This was because both my colleagues had to be back in time to “clock in”. As salaried employee I was exempt from this practice, but as I was reliant on Pat to get me back to work, this exemption was somewhat irrelevant. The Primrose was a smashing little pub back then. It probably dated from Victorian times, and had a real homely feel to it; much more so than it did during its latter days, when the bars were knocked through into one, and the serving area was moved to one side. The landlord’s name was Nigel. He had a slight cheeky-chappy look about him, but we rarely saw him, as he wasn’t often present at lunchtimes. With Nigel absent, most of the time, the task of looking after us thirsty punters fell to Sue, the lovely and comely barmaid, who always gave us a warm welcome and a friendly smile. She also had a dry sense of humour and was not someone to be trifled with, as I’m sure some customers found out to their cost. Apart from Sue, the Primrose’s main attraction was its well-kept Fremlin’s Bitter, brewed by Whitbread at their Faversham plant in north Kent. 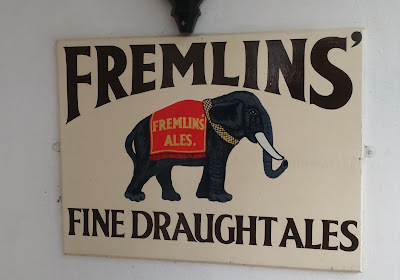 Fremlin’s was a good quaffing bitter, which packed plenty of taste into its relatively low strength of 3.5% ABV. Even so, I’m certain that after three pints, our chauffeur Pat would almost certainly have been over the limit, had he been stopped and breathalysed on the way back to work. As for me, I worked out that by the time I finished work, three hours later, I would be OK to drive back to Maidstone, where I lived at the time. Times change and in the spring of 1985, the company we worked for, sold off a substantial part of its business and the three of us were made redundant. We all went our separate ways. I’m not sure where my two former colleagues ended up, but I secured a laboratory placement working for a pharmaceutical company in Lamberhurst, on the Kent-Sussex border. I also re-married. My marriage led to me moving to Tonbridge, to a house within walking distance of the Primrose, but with our little group scattered, and me working 10 miles down the road, I had little reason to frequent my former haunt. Towards the end of the 80’s, I learned that Whitbread, the Primrose’s owners, had carried out an extensive re-modelling of the pub’s interior, knocking the two former bars through into one. I paid a visit along with a friend from CAMRA, and didn’t really like what I saw. The alterations were as described above, but to me rather than adding to the pub, they took something away, in the form of both character and atmosphere. 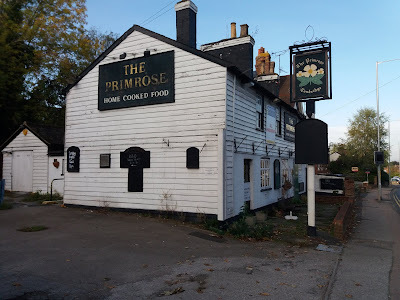 I think it was from this point on that the Primrose’s fortunes began to decline, assisted by a succession of inexperienced or unsuitable licensees. The pub changed ownership as Whitbread retreated from brewing and sold off their tied estate. In recent years it was owned by an outfit called Pendry’s Pubs Ltd. 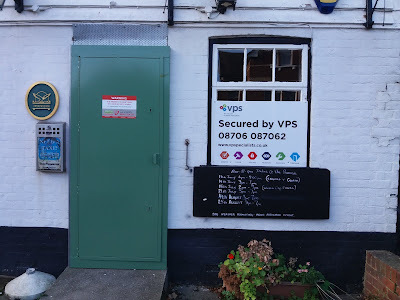 The company own at least two other pubs in Tonbridge, but trying to find anything out about them is no easy task, as their website is not very informative, and is also rather out of date. 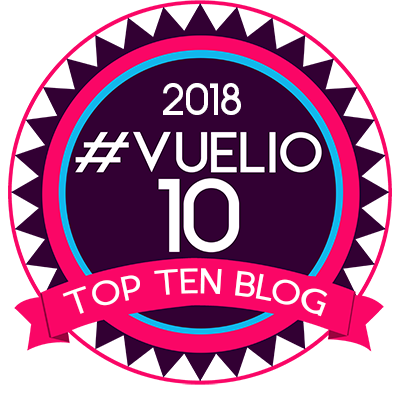 The succession of unsuitable licensees continued, with each seemingly convinced that a diet of Sky Sports, karaoke, fancy dress evenings and lunchtime food were what was needed to draw the punters in. Unfortunately the pub was too small for the big-screen, which meant football tended to dominate everything, when a match was being shown. Fortunately I managed to escape the karaoke evenings, but darts evening were also a bit of a nightmare. I remember my local CAMRA branch attempting to hold a committee meeting in the pub whilst sat just a few inches away from where the players were aiming at the board. The darts team also demanded silence, whilst play was in place, so the meeting was not particularly successful. Successive licensees kept trying to inject some life into the place, and I lost count of the number of times I drove past and saw yet another sign advertising the pub was “Under new ownership” and also serving up "Home Cooked Food". The idea of food on weekday lunchtime was a total misreading of not just the local market, but the national one as well. There are few factories left in Tonbridge, and most of the offices are located slap bang in the centre of the town. Not only that, but working people just don’t go to the pub of a lunchtime, like they did when I began my career, nearly 40 years ago. 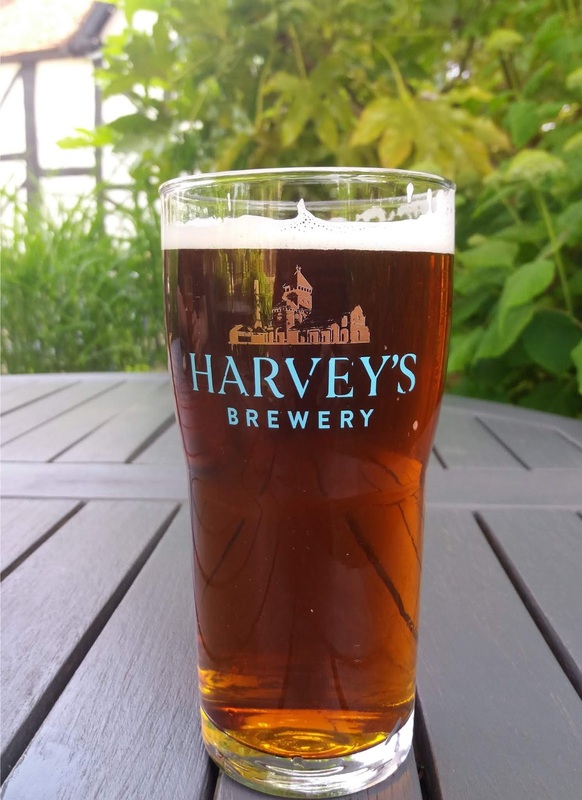 Harvey’s Sussex Best was the sole cask beer, and a sensible choice, as the beer has a strong local following. The quality was variable, although to be fair to the pub, I never had a bad pint there. The problem was though, that with changing habits and a the loss of several large employers in the town, the Primrose was on a hiding to nothing. On several occasions I remember walking by, late on a Saturday evening, on my way home from a night out elsewhere, and seeing the pub virtually deserted. Sometimes the place was shrouded in darkness, after having shut early. This must have been heart-breaking for the new owners, who were probably already struggling. As I said at the beginning of this article, I was not surprised to see the Primrose closed, even though I found it very sad. The pub could have had a future by being turned back into a traditional alehouse; perhaps even a largish micro-pub, without the "Herne strictures" applied.. Sadly the following planning application has been lodged with the local council. 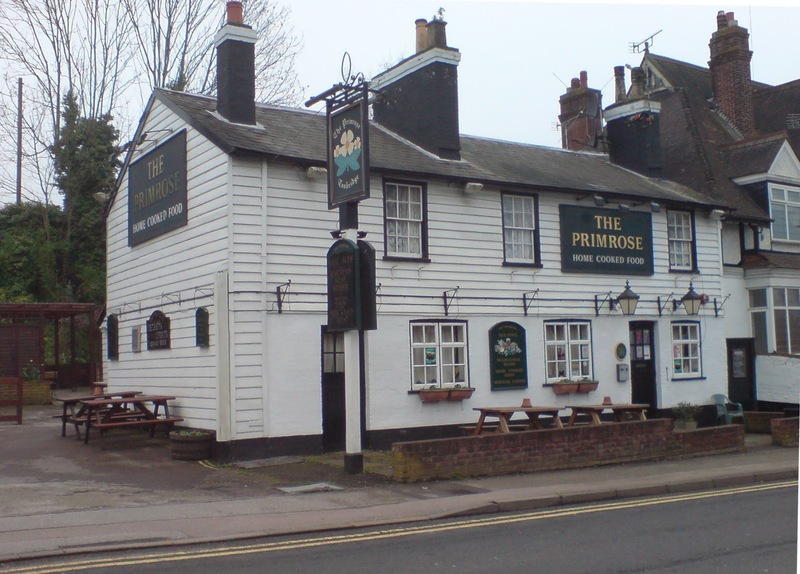 18/02488/FL | Demolition of the existing primrose public house and redevelopment of the site to provide 4 no. dwelling houses and 2 no. 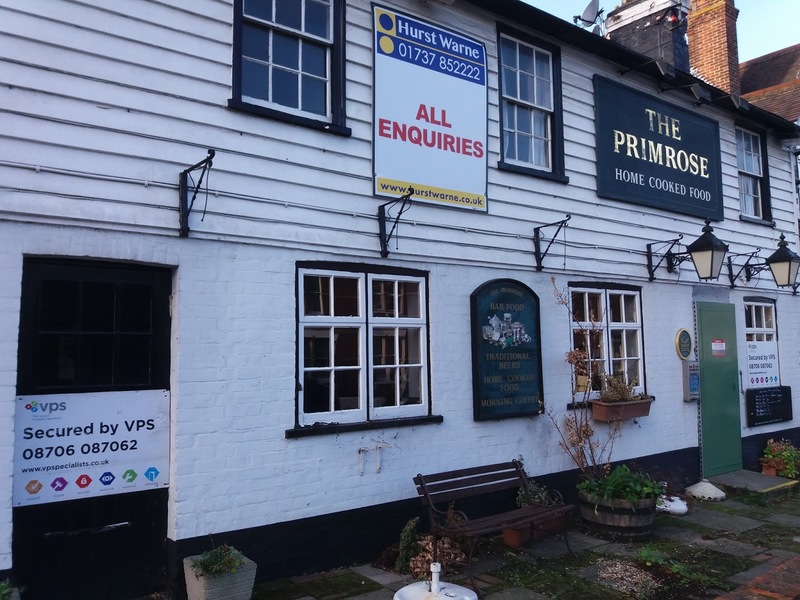 apartments with associated access, parking, infrastructure and landscaping | Primrose Inn 112 Pembury Road Tonbridge Kent TN9 2JJ. You can click on the link yourselves and take a look, but the developers claim the pub was trading at a loss, and had been for years. They also claim the building is in a state of disrepair and would need further investment and additional floor space to remain as a public house. 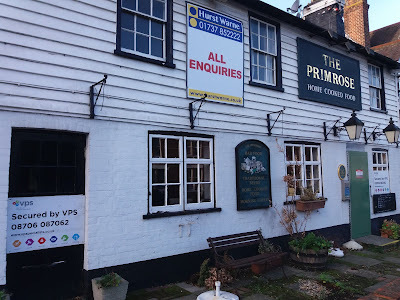 So unless a fairy godmother appears, clutching a large wad of cash, it really does look like the Primrose's days are numbered, and another small, old-school beer-house of the type which was once commonplace will be consigned to the dustbin of history. That's another sorry tale, which maybe relates back to my recent comments about pubs being Run To Fail. Still, given just fifty minutes in the pub back then, your chauffeur may well have been over the limit, but perhaps only twenty minutes after you all got back to work? It would be a pity to lose another traditional Kentish weatherboarded edifice whatever the reason though. Etu, the comments made by the developers in support of the planning application, certainly do suggest the pub was being run to fail. What makes the story worse, is the people who took on the tenancy and then presumably lost their deposit when they couldn't make a go of the place. Definitely a case of "buyer beware", but was the pub company being economical with the truth as well? Such a shame for a lovely old weather-boarded building like the Primrose, to end up as match-wood, but developers are grabbing every available piece of land they can find locally. Developers are grabbing every bit of land everywhere. Having multiplied its value by a successful planning application, they often then nominally begin development - by demolition - and then just sit on it. This strangles housing supply, and serves speculation. There are two such derelict sites in my village. There are hundreds of thousands of unbuilt such applications, and a housing crisis. Government has reduced the powers of LAs to deal with such untidy sites too. I'm not supposed to mention politics, in case it upsets a few "gentle souls", but one policy which comrade Corbyn is proposing, is designed to prevent speculators from buying up land and then sitting on it and doing nothing with it. No details, of course, as to how this will be achieved, but it may help to remove some of the "grot spots" which blight our towns and villages. In my occasional comments on planning applications, I've said to the officers, that a condition of consent should be that the development be completed within a specified time. I'm unsure as to whether LAs have the power to impose such a clause though. They have never followed that recommendation. More such powers for them would be a Good Thing if you ask me. Sigh, not much to add from this side of the pond. My 'local' (which, to be honest, I did not visit on a regular basis) closed its doors during the summer as well. But so far they aren't looking at rezoning it (it's still up for sale).